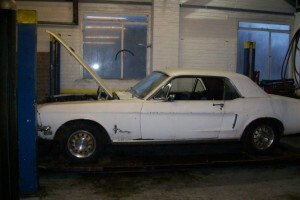 Ford Mustang Convertible 1966 entered into the April 24th Classic Car Auction. Mustang convertible in Wimbledon White with black interior. 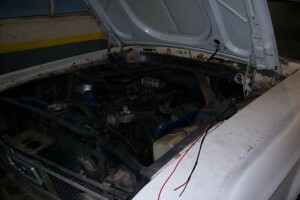 It has a power hood in good condition. The body and chassis is largely original with the exception of the nearside front wing which has been replaced. 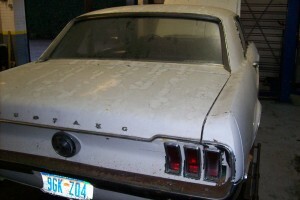 Floors/sills, boot area and bulkhead are all original and in very good condition. The vehicle left the factory as a 289V8 auto but has been upgraded at some time to a high output 302 fuel injected engine coupled to a 5 speed manual gearbox. Brakes have also been upgraded to vented discs front and rear, with anti tramp bars fitted. Newish GT wheels with new BF Goodrich radials to complete the vehicle. Externally the vehicle is standard and in very good usable condition, all the upgrades could be reversed and the car put back to original condition if so desired.